The Mapping Glossy Blacks project, launched earlier this month, is rapidly gaining traction. In the latest news, we are pleased to receive the support of the ACT Government. 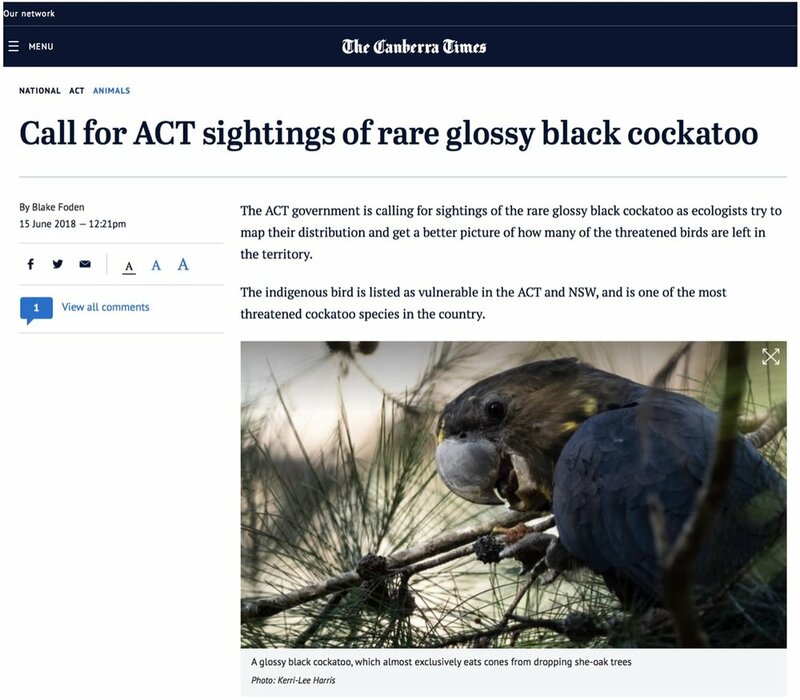 The Minister for the Environment and Heritage, Mick Gentleman, has called for people to report sightings of Glossy Black-Cockatoos on the NatureMapr platforms. Senior ecologist, Greg Baines, stresses the need to learn more about this Vulnerable species.